Top of the line awning welt. This Kedar Welt has two flaps so you are able to sandwich the Kedar Welt on the raw edge of your panel saving time and giving the panel a finished look. 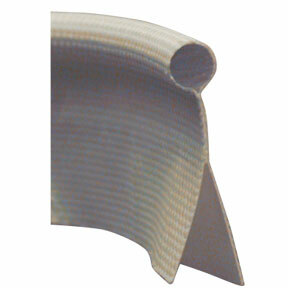 Woven polyester which slides easily through vinyl, plastic or metal awning rails. Benefits of this tape include its strength, heavy duty coated polyester fabric welded to a cord of solid PVC material. Put Up: 330 feet per spool.